The Mossberg 500 is my favorite shotgun to hunt turkeys with and paired with the right choke can be a deadly combination. In this review I’ll discuss the turkey chokes that have worked well for this type of pump-action shotgun and why I continue to hunt with them. Several turkey chokes are specifically designed for the Mossberg 500 shotgun and help make all the difference between bagging and missing a prized old tom. The Carlson’s Long Beard XR is my favorite choke tube and works well out of my Mossberg 500 at up to 50 yards with the right ammo. Below are the top 3 best turkey chokes for the Mossberg 500 shotgun and why you should give them a try. My Mossberg 500 has sentimental value so I really wanted to get it setup as a turkey gun. The first thing I needed to do was ditch the factory choke tubes and choose an aftermarket choke that patterned tight and worked well with the ammo I like. Over many years of hunting turkeys with the Mossberg 500 and trying many different choke and ammo combinations, these are the three chokes I’ve had the best results with. Carlson’s Long Beard XR Choke Tube (click to check the price at Amazon) – The Carlson’s Long Beard XR is the choke I’ve had the most success with out of the Mossberg 500 and it’s my go to choke paired with Winchester XR ammo. I’ve bagged my largest tom with the Long Beard XR and can achieve 80%+ patterns at 40 yards. This is my top pick. Hevi-Shot Hevi-13 Turkey Choke Tube (click to check the price at Cabelas) – Hevishot chokes are designed specifically for Hevi-13 ammo and heavier than lead shot. Usually if I’m shooting high density loads, this is the choke and ammo combination that I go with. Since Hevi-13 patterns so densely, I was able to get close to 90% patterns at 30 yards out of my Mossberg 500 with the Hevi-13 choke tube. If price isn’t an issue, this is your best choice. TRUGLO Head Banger Turkey Choke (click to check the price at Amazon)– I won a TRUGLO Head Banger at a hunting show and just had to try it out. They claim the multiphase grooved technology guarantees a tight and consistent pattern shot after shot and I can’t say I disagree. While it didn’t pattern as well as the Long Beard XR or Hev-13 out of my Mossberg 500, I think I could work my way to something close if I spent more time fine tuning it. The Head Banger is a budget option to consider. When you sit down and compare the Carlson’s Long Beard XR to the Hevi-13 Turkey Choke and Dead TRUGLO Head Banger, the differences are noticeable. The Carlson’s Long Beard XR has a super tight constriction of .665 for tight patterns at long ranges. The Long Beard XR choke is designed especially for the Winchester Long Beard XR ammo. This is one of the top choke/ammo combinations available for turkey hunting. The Carlson’s Long Beard choke extends past the barrel and has raised grooves for easy removal without a choke wrench. The Long Beard XR features triple shot technology that results in more uniform pellets holding tighter at longer ranges and less flyers. The Carlson’s Long Beard XR has won several turkey shoots. It’s affordable. For less than $50, I was able to increase my pattern results considerably over factory choke tubes. 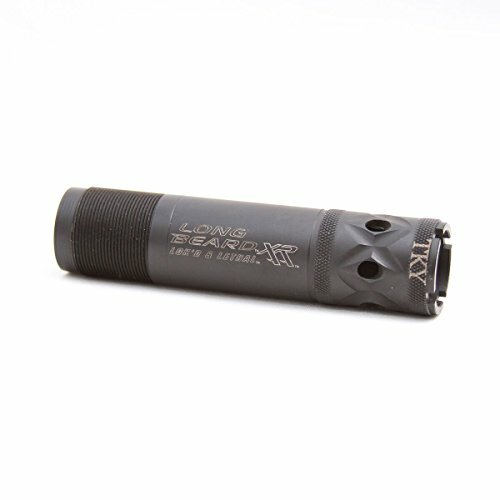 The Carlson’s Long Beard XR choke has a 25% increase in the parallel section of the choke tube which results in tighter patterns at longer ranges. It’s made out of high quality stainless steel that withstands corrosion and wear and tear. Here is a great clip of what you can expect to achieve with a good turkey choke for the Mossberg 500. A choke constriction of .660 to .665 is ideal for producing tight patterns at up to 50 yards. Turkey choke tubes designed for specific ammunition can help reduce the amount of patterning involved to find a good setup. Most of the testing has already been completed, take advantage of it. Constructed of high grade stainless steel. 17-4 stainless steel and above are ideal. Extended choke tubes perform better at longer ranges and can help reduce the need for a choke wrench. Ported chokes can help separate the wad from the shot to help limit flyer pellets downrange and reduce the shot string. Axial ports drilled into the choke can help reduce barrel jump and also reduce recoil. Less expensive chokes can be just as effective as expensive chokes with the right ammo combination. Thick walled turkey chokes can better withstand high pressures and thick shot columns that could create choke bulging in thin walled applications. The ideal turkey choke can deliver incredibly dense patterns at long ranges. Let’s face it, if you’re all about jelly heads, putting a mass of pellets on target is what you’re aiming for. For that to happen though, you need to have a bunch of factors working in your favor. Below are the common types of chokes for turkey hunting and what makes them so effective. Ported vs. Non-ported chokes –Ported turkey chokes have groves and holes that allow for pressure expansion and wad stripping technology to help create better patterns. Non-ported chokes are smoothed walled and can even be flush with the end of the barrel. Extended vs. flush chokes – All ported chokes are extended chokes. Extended chokes usually extend 1 to 1.5 inches past the end of the barrel. 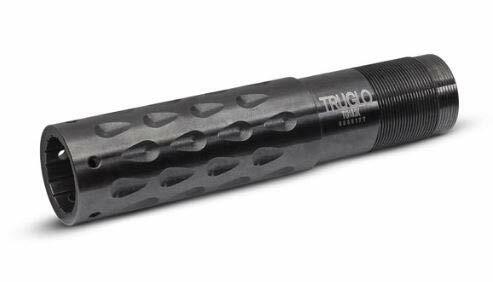 This added barrel length can help improve patterns by increasing the parallel section of the choke tube and allowing space for wad technology to work. The best chokes for turkey hunting are always extended ported chokes like the Carlson’s Long Beard XR. 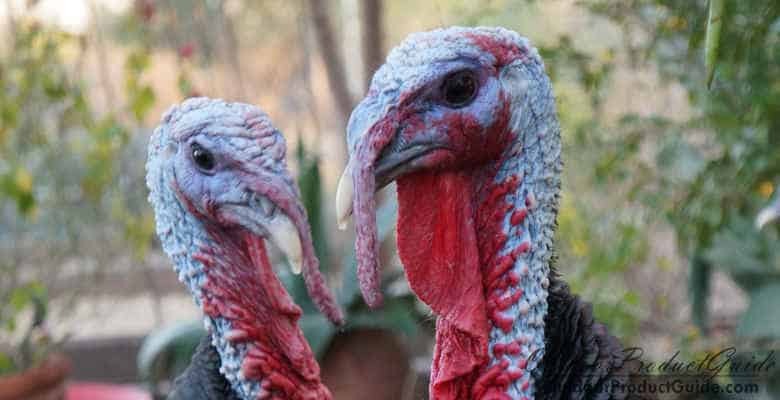 They consistently win most turkey shoots with the right ammo combinations. Extended chokes are ideal for turkey hunting because they provide a platform for tighter constrictions and wad technology improvements beyond that of flush factory chokes. To kill old toms at long ranges consistently, an extended ported choke is the best starting point to developing a tight pattern that will produce great results at 50 yards or more. On my last turkey hunt, I was able to get 3 toms to strut at 55 yards but they just wouldn’t commit past that point. Don’t get me wrong, my preferred range is 20 yards or closer, but sometimes the stars just don’t align. Needless to say, I wasn’t thrilled with taking the shot, but I knew the choke and ammo combination I was using was easily capable of dispatching even the largest Tom at that distance. I was using the Carlson’s Long Beard XR choke with Winchester’s Long Beard XR ammo. The previous spring I had done some intensive patterning with this choke and ammo combination out of my Mossberg 500 and SBE II with great results from each. With turkey season quickly coming to an end, I ended up taking the shot on the strutting Tom at 55 yards. The old bird hit the ground hard and upon close inspection I had put 10 pellets into him with some completely passing through. Situations like this are why having a good choke is vitally important for turkey hunting. Test as many choke and ammo combinations as possible. Chokes and ammo specifically designed for each other tend to work the best. The technology and development put into the front end just can’t be ignored. Pattern your shotgun at the max distance you plan on shooting in the field. Limit your patterning to a 10 inch diameter circle or the size of a turkeys head. Compensate for shot drift in high winds or pellet fall at long distances. Switch to dense shot like TSS or Hevi-shot for increased pellet energy and density. Use an aftermarket sight for a better shot profile. Average your results from 3 shots before giving up on a particular load. For more patterning tips, check out our guide here. Need a new shotgun sight for turkey hunting? Check out our top picks here. Roy, check out these interchangeable choke lists.